No matter what today has in store, as a believer, you can approach the day with boldness and confidence. Why? Because the Lord is with you, and in Him is everything you need in this life! That means that if you need provision for something today, provision is with you. If you need wisdom today, wisdom is with you. If you need strength, joy or peace today, it’s with you. You can be confident today knowing that all of your needs are supplied spiritually, physically and emotionally because the Lord is with you. And best of all, He’s promised never to leave you. Remember, don’t ever let the lies from the enemy or pressure from the world keep you from taking hold of everything the Lord has for you. Open your heart by faith and receive whatever you need today. Step out in boldness and strength because the Lord is with you! Ready to take on this day, I claim the abundant life I was created to live! Children taking their first steps teach us an important lesson: With confidence, drive and a strong desire to walk, these little ones push past their comfort zone and move forward. I know that as a child of God, I can tap into my own adventurous nature and determination to do whatever is before me this day. I might be taking my first steps in physical or emotional recovery. I might be beginning a new relationship or renewing a previous one. I can do anything I set my heart on. As I search my soul, I know that God provides me with whatever is needed to step forward. I confidently take on any challenge or adventure that leads me to claim the abundant life I was created to live. You see that faith was active along with his works. I place my trust in God. A Unity author wrote these practical words of wisdom: “As your unity with God grows, your immunity to fear grows as well.” God is always with me. If there are times when I am fearful, I can quiet my concerns by focusing on divine love and power. I remember I am always cared for, provided for and protected. No matter where I am or what I am experiencing, God is here. I know this truth for my loved ones as well, visualizing them protected and guided always. Whether at home, at school, at work or traveling across the globe, they are in God’s care. I place my trust in God and see them happy, healthy and enjoying life. Joy is within and all about me. I want to live in joy. So rather than depend on something or someone to change so that I can be joyful, I choose to be joyful right now! Speaking words that are uplifting, I share my joy with others. I greet them with a warm smile and kind words. Joy increases as I give from the limitless wellspring within me. The positive energy that flows from me is multiplied as others, in turn, bless and encourage those with whom they connect. Joy is my very nature because my heart is full of the spirit of God. By choosing to focus on the positive aspects of every person and situation, I feel the joy of God that is within me and all around me. As I share joy, my own joy is complete. Be glad in the Lord and rejoice. There is divine order in the activity of Spirit in my life. In good mystery stories, we cannot predict the ending, yet we know there will be resolution. 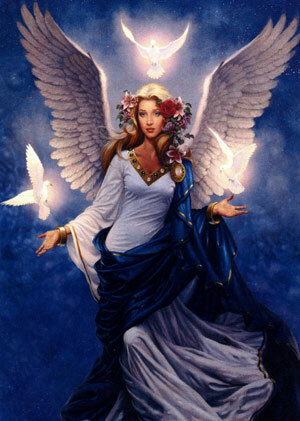 Affirming divine order in my life, I am at peace with the mystery of how my good will unfold. When there is an unexpected challenge, I keep my mind centered on God as the Source of my healing, my peace and my abundance. I expect good to be revealed even if I cannot see it now. 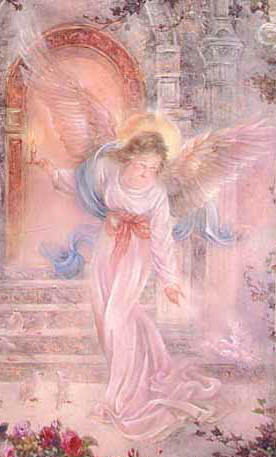 I am grateful for the everyday angels who help me and for the surprising channels of good that flow through my life. Trusting in the divine order that unfolds when I keep my focus on God, I am confident that each day is a step on the path to my highest good. Every stranger is my brother or sister. Creating a world of harmony happens one person at a time–and it starts with me. In conscious alignment with Spirit, I focus on creating peace and harmony within myself. Harmony then extends to my peaceful and loving relationships with my family and community, then spreads to my brothers and sisters around the world. The spirit of God is within every person. If ever I feel disconnected from another, I take steps to re-establish harmony. I reach out to others with love and respect. I remember that we are all connected; there are no strangers; separation does not exist. When we see each other as members of one big family, the world is united in perfect harmony.